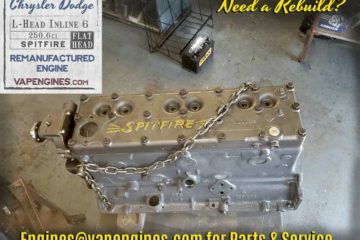 At Valley Auto Parts and Engines, we’ve been rebuilding engines in Los Angeles for 33+ years and counting from the same location. We like ripping things apart and getting our hands dirty, that’s the fun part. We’re car junkies at heart. We work on all makes and models of cars, trucks, commercial, marine, diesel engines- both import and domestic. We do work on the occasional motorcycle and forklift too. We take pride in our work and a job well done. 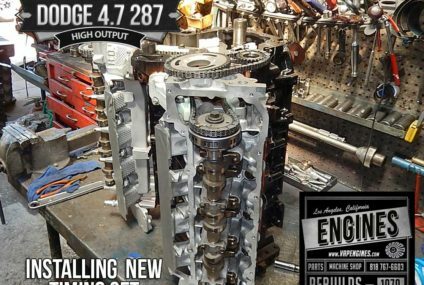 Rebuilding your own engine save you money, that is the bottom line. 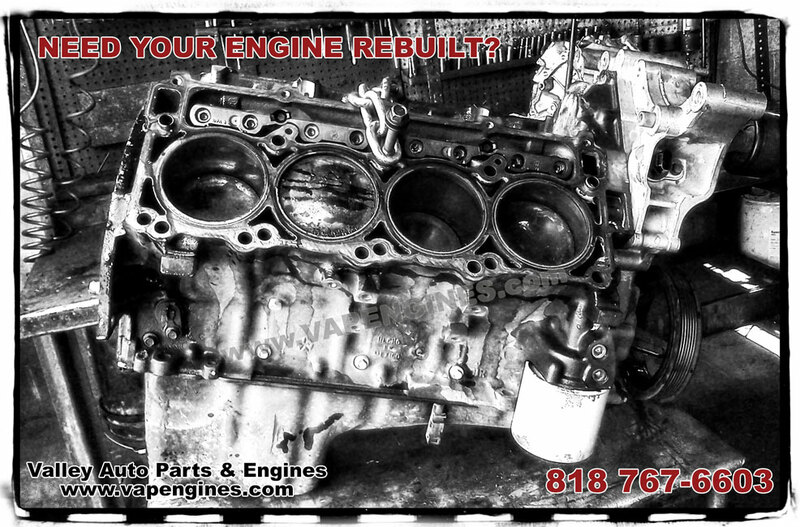 Call now for engine repairs, overhauls, or engine rebuilding. (818) 767-6603 We’re competitive and budget friendly. Short blocks from $485.00 exchanged. Now you are ready for the heads. 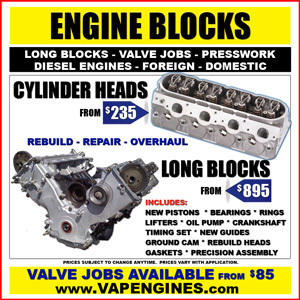 Cylinder heads from $235.00 . Long blocks from $895.00 exchanged. Prices vary with application. Call us (818) 767-6603, ask for Lou. 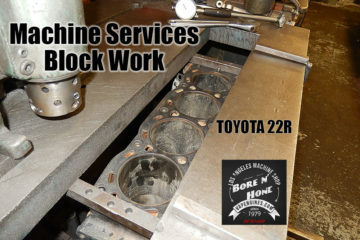 Whether you are doing the work yourself, your a mechanic, an auto shop brokering the work, or a dealership we can repair your engine. Short blocks, Long Blocks , Foreign or Domestic our expert machinist build motors. Need the parts? 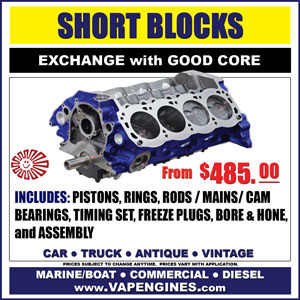 We carry a full line of engine parts. It’s one stop shopping at Valley Auto Parts and Engines. How much for a 1949 216 Complete engine either exchange or I have a complete running core to rebuild? We can rebuild your good GM 216 core, I emailed you an estimate. Thanks for inquiring on a price to rebuild your Chevy 4.3. I sent an estimate to your email. Thanks for inquiring. I am emailing you directly a quote to rebuild your 55 Buick 322. 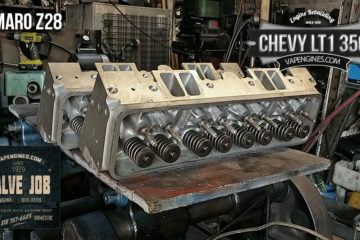 Looking to rebuild my 5.7 350 chevy 1985 motor. valve covers on with water pump and oil cover on. What would it run me if I bring it to you! Thanks so much!